If you are interested in learning more about the history of one of East London's most interesting streets, you could do worse than joining Blue Badge Guide Molly Rumbelow's guided walk of the area this afternoon, not least because it offers one of the last opportunities of the year to look inside 19 Princelet Street, London's Museum of Immigration. Held as part of Rich Mix's Snapshots Festival, the walk is free and it is best to book in advance from the Rich Mix box office, though some tickets may be available on the day. It leaves at 2.30pm and is part of a variety of events taking place this afternoon from noon until midnight at the centre on Bethnal Green Road. You could not have picked a better place for me. Brilliant! Firstly 19 Princelet Street in Spitalfields was a Huguenot silk weaver's home, Huguenot silver and silk being my absolutely favourite component of art history. Secondly there is a surviving synagogue built there, near where my paternal grandmother prayed (on saturdays) and went to Hebrew school (on sundays). 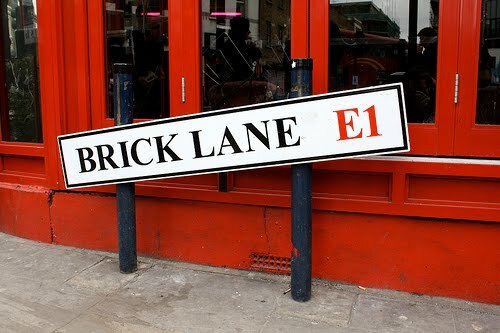 Thirdly I love the movement to save Brick Lane's architecture.